With Virtualization gaining more traction in all phases of business, competitors are getting better with their products. Most Virtualization vendors offer some sort of free Virtualization software today, that is capable of handling a small to medium load. With that being said, the free hypervisor space is a very important segment for IT pros getting started with virtualization. It allows organizations to give virtualization a try without having to invest with an incredible financial obligation. Furthermore, some IT shops are just fine with only running free virtualization tools in their production environments. 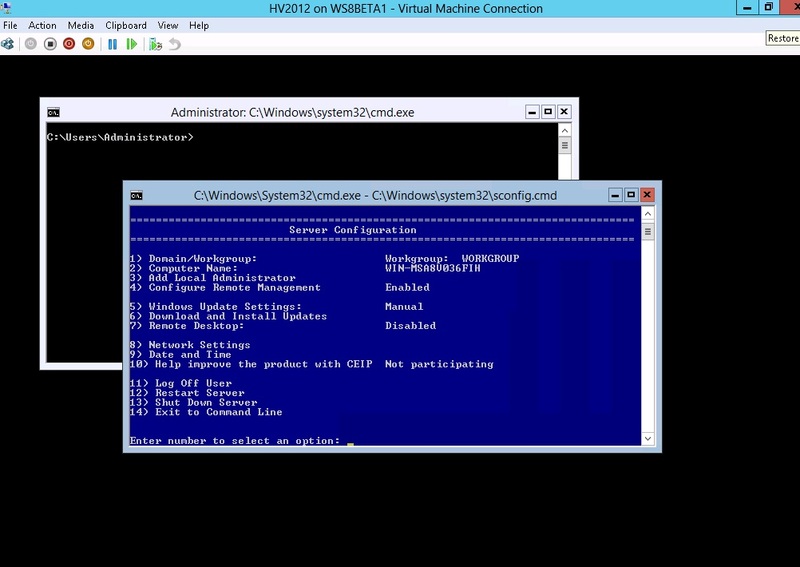 Last month at the Microsoft TechEd North America, details were laid out for Hyper-V Server 2012. Please note that this is the free hypervisor and it should not be confused with Windows Server 2012 with the Hyper-V role; they are officially different products and should be seen that way. Hyper-V Server 2012 will bring incredible scale to the free virtualization space; and, in fact, no other free offering comes close. This is absolutely an incredible new free version of Hyper-V and it will support up to 4 TB of RAM on the host, individual virtual machines with 1 TB of RAM, and guest vCPU assignments up to 64 cores. Amazingly, that this free hypervisor really exceeds with what many revenue offerings is mind-boggling. The release candidate for Hyper-V Server 2012 is available under certain access levels from Microsoft from resources such as a TechNet subscription. The release candidate installs just like any version of Windows or Hyper-V Server that is available today, quick and painlessly. The capabilities and expectations of this free hypervisor are very high. Mix in those feelings with the free migration technologies that do not require shared storage, and itâ€™s pretty clear that Microsoft is serious about its legacy in the virtualization space. My only hope is that more IT professionals take some time out of their schedules to check out these free release candidates to evaluate their future use. I am very impressed with the changes.